People who watch the show should love this game. For everyone else, though, it’s just a platform game. It ain’t bad, but nothing to drool about. You have five different cats, and can switch them out at any time, and I can only assume that they do different things. One of them breaks rocks, that’s all I can figure out. It’s all very nice and colorful and the control is pretty good, so have fun with it. Oh, and there’s a hell of a lot of storyline in this game for a boring ol’ platformer. It took me way longer than was needed, but here it is. 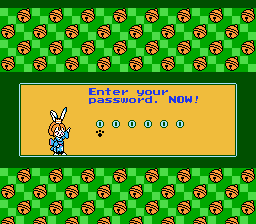 A fully hacked, 100% complete Samurai Pizza Cats translation patch. This translates everything, including the end credits, adds a nifty title screen too. This time around, the patches are in XDelta format, not IPS. Due to the changes implemented by MottZilla (which involved expanding the rom size), an IPS patch was not advisable, so I had to go with XDelta. Get an XDelta patcher and let ‘er rip. There are two patches in this archive. One is a straight translation of the game (Kyattou Ninden Teyandee v1.00.xdelta) - most of the original puns and all the original names are left intact. 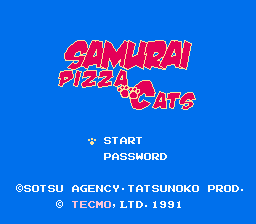 The other (Samurai Pizza Cats v1.00.xdelta) is much closer to the spirit of the US adaptation of the TV show. And by that, I mean that I made up most of the script, added a bunch of unrelated jokes, and made a lot of changes to the enemy names. If this really bothers you, then play the other patch. This second one was made by a fan of the show, FOR the fans of the show. 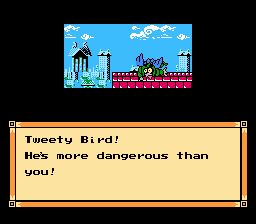 So “accurate translation” be damned, I went all Victor Ireland on this and don’t regret it. The title screen is based on the one used on the unofficial DVD release from Europe. A Romhacking.net forum user named Ridculle created an earlier version of the title screen, but I ended up remaking it from scratch, and only used the little paw things from his original design. So thanks to him for that. I was going to release a version of the patch with a different title screen, but everyone who saw it hated it, so I decided to use this one only. 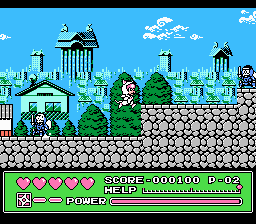 Plus, the Samurai Pizza Cats patch includes a rendition of the US theme, done by the very talented Optomon. Edit (by DarknessSavior): Kit apparently wasn’t using the best dump for the game when he did the patch. This was pointed out to him, and the 1.01 version of the patch fixes this. Kitsune Sniper (Foxhack) Hacking Game hacking, font insertion, general lazyness. MottZilla Hacking Game expansion hacking. Shih Tzu Translation Main translation support. Optomon Music Samurai Pizza Cats NES theme song.